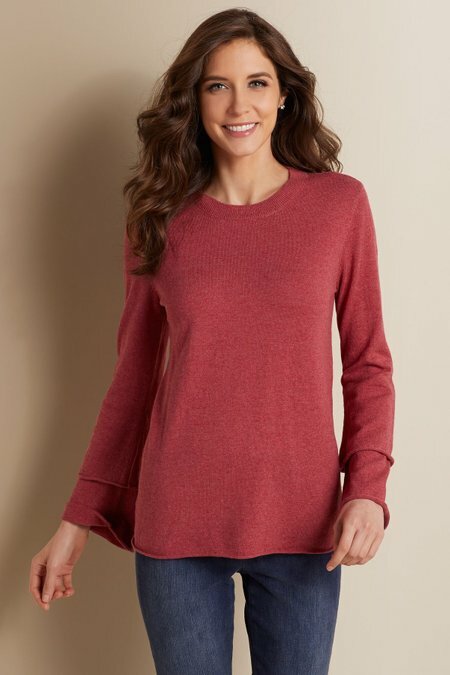 The belle of any sweater collection, this day-to-day pullover celebrates feminine flair with double-ruffled bell sleeves and soft rolled edges. Ribbed scoop neck. Misses 26-1/2" long.